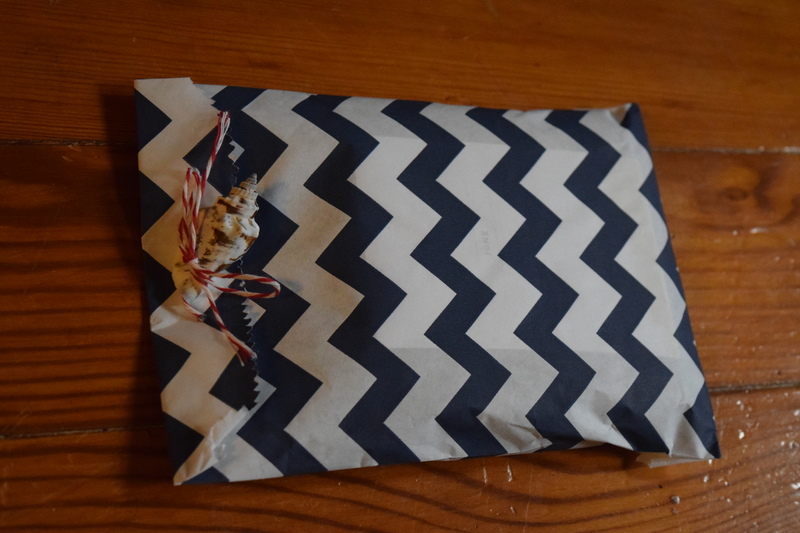 Every month Fair Ivy sends a handmade find with a guarantee of jewelry every other month. June is a non-jewelry month and when I opened my package I got this adorable bag. 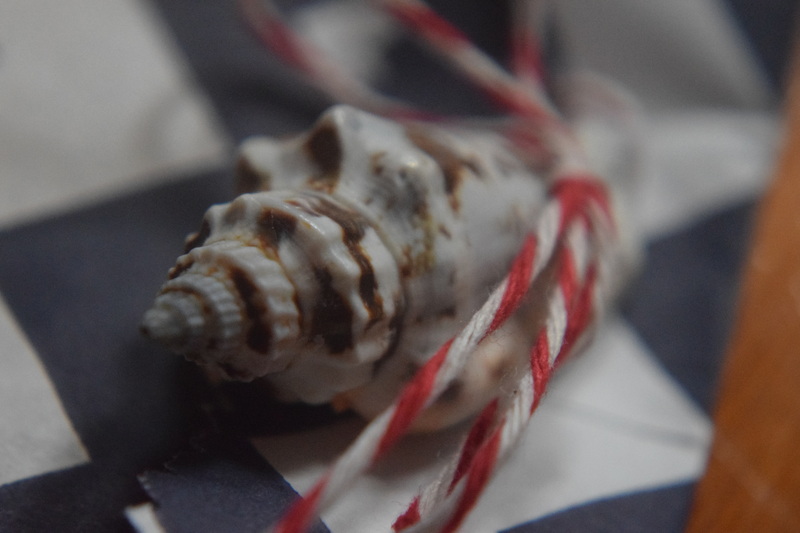 Can you see that tiny seashell? It’s already going into my craft hoard and will be turned into some type of jewelry concoction soon. 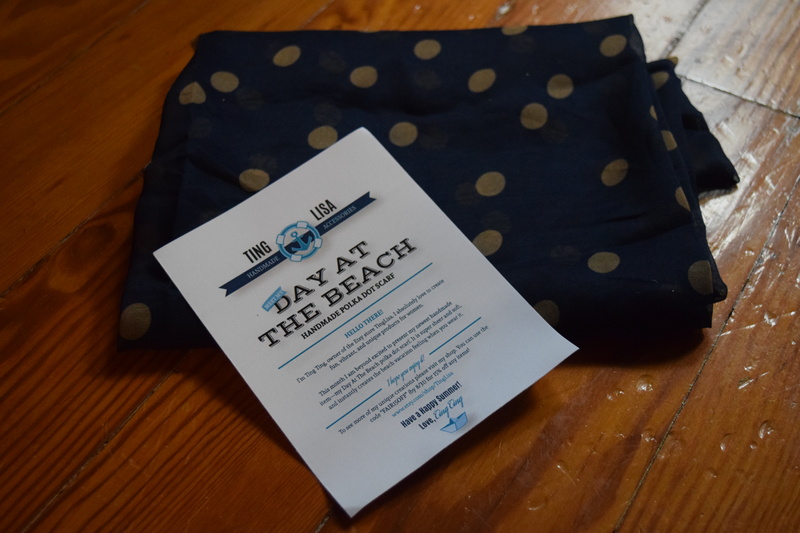 Inside we reveal a lovely scarf from Ting Lisa, with a coupon! Use the code “FAIR15OFF” to save 15% (valid through August 31, 2015). This scarf is classic, lovely and well made so it pains me to say that I’m disappointed with it. My last picture on this product is a bit off, as it reads a dark navy in real life rather than a bright blue. Sadly, I don’t get a beach vibe from it at all. To me, it’s more autumnal. In 2014, Fair Ivy sent another scarf from Ting Lisa that I absolutely adored and is in regular rotation in my wardrobe. It had a gorgeous vintage floral print and this one in comparison feels (gasp) generic. Again, the fabric is lovely, the craftsmanship is great, but I just feel like it’s a bit too pedestrian and isn’t the best fit for the season. The Ting Lisa Etsy shop has some other shades and I think perhaps the bright red variation would have been a little bit more apropos for summer. I paid $36.95 (including shipping) and the cost of the scarf is $30. As usual, the Fair Ivy value is pretty much equal to what I paid. Unfortunately, I’m not feeling this piece but it’s quite nice and I know a few folks on my gift giving list that will love it. July promises a jewelry item, and I’m hoping for some colorful earrings. What do you think of this scarf? What season do you think you’d wear it? 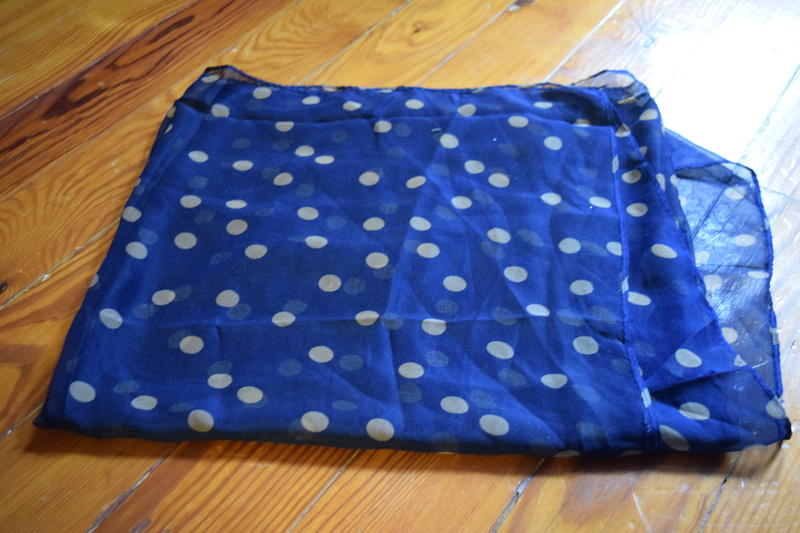 Navy with white polka dots seems off to me too–makes me think of spring. I would also be disappointed in this because it’s so plain…I could find a similar scarf at Target for half the price. It’s a shame too because, it’s nicely made and the fabric as a lovely feel to it.